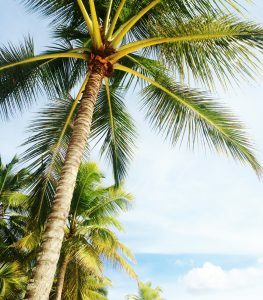 Miami lifestyle - why to move to the Sunshine State? Miami is a major center of the South Florida metropolitan area. It is an important international capital, one of the most important hubs in entertainment, media, music, fashion, film, and culture. This city is home to many entertainment venues, theaters, museums, parks and numerous museums. So why not move here? Miami’s mild weather allows for year-round outdoors activities. The city has numerous marinas, bays, canals, and the Atlantic Ocean. Miami beaches have been ranked among the best beaches in the USA. So let me assure you, Miami lifestyle is AMAZING! What exactly is the Miami lifestyle? Ultimately, living in Miami is all about making the most of what you got, and here – you can have everything! Between the shores, the clubs, and the heat, there is so much that can go right. Miami is a diverse cultural melting pot. From world-class symphony orchestras and opera to EDM and the biggest names in pop, Miami’s music scene extends to its Latin roots. Pick a show: symphony, opera or orchestra, and you will find it here. The Florida Grand Opera is a world-class company presenting classic and groundbreaking operas every season. The New World Symphony is America’s Orchestral Academy performing at the Frank Gehry-designed New World Center. This is where to hear up-and-coming talent. Miami Symphony Orchestra is located in Kendall under the baton of Maestro Eduardo Marturet. Their repertoire includes world premieres, as well as classics. Some of the biggest musicians in the world visit Miami’s concert venues. This scene provides a wide range of both underground and mainstream artists, from Arcade Fire to Lady Gaga. When major artists like Beyonce, Justin Timberlake or Ariana Grande come to Miami, chances are their concert will be held at the AmericanAirlines Arena so you should probably check their site for upcoming events. And if Miami days are hot, the nightlife is hotter. When it comes to live music, here you can find anything that you may like and feel that Miami lifestyle. From live jazz, salsa and acoustic music to techno. Also, don’t miss out on Ultra Music Festival. From groundbreaking museums devoted to modern art to charming historic institutions, Miami has a wealth of museums to visit. Take your pick from one of Miami’s many museums! Pérez Art Museum Miami perhaps is the most important museum in Miami, dedicated to the international art of the 20th century. Also, make sure to check out the Institute of Contemporary Art (ICA). Smithsonian Affiliate, HistoryMiami plays host to several exhibitions highlighting historical moments in Florida and throughout the world. From world-class film festivals to a vibrant field of autonomous cinemas, this is a movie town. Whether you’re visiting during a holiday or simply looking to cool off in the theater while you’re transported to another world, here’s your guide to film in Miami. The Miami International Film Festival is the largest festival of the year, bringing together both established and emerging filmmakers. The festival screens films at various theaters throughout Miami every March. For Hollywood blockbusters experience, Miami’s neighborhoods have plenty of mega-plexes to choose from. For the latest documentaries and indie films, head to one of Miami’s independent cinemas. From historic Art Deco gems to new cutting-edge art houses, they’re full of character and intrigue. The New World Symphony’s, designed by star architect Frank Gehry, features a 7,000-square-foot wall that doubles as a movie screen. Bring a picnic and blanket on Wednesday evenings when they screen classic films of epic proportions. That’s the lifestyle that we are talking about! There are plenty of opportunities to have a great time here. In fact, there are so many options that it can be hard to choose what to do. You can enjoy the sand, or you can surf. Whether you are enjoying the beach with friends, or with kids, you can be sure to have a fun time. Soon, you will get used to this great side of Miami lifestyle. If you have some extra vacation days you can always cruise. PortMiami processed over five million multi-day passengers – more than any other port in the world. Vacation has never been easier because you don’t have to change flights, wait on airport and stress about it. You can cruise the world across amazing destinations like Mexico, Alaska, The Bahamas, Hawaii and the Mediterranean. PortMiami offers endless cruise lines to pick for your voyage. Spin that globe and plant your flag! There is more to Miami than just the great weather. Scratch under the surface. There are amazing restaurants and clubs. Also, people here are pretty amazing. If Spanish is not a problem for you, you will fit in Miamis lifestyle faster than you expect. And why not? Sunshine state is one of the greatest America has to offer. Call it your new home.